This item usually ships 3-7 business days! 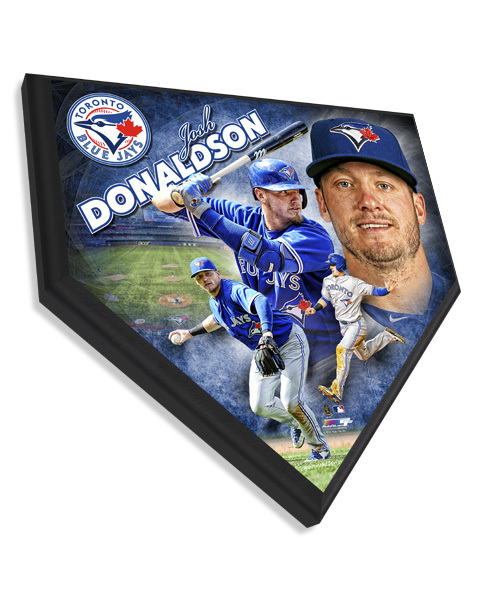 This 11.5" X 11.5" plaque comes in a shape of home plate with the black beveled edges. The photo composite is affixed to the plaque with a gloss finish.This officially licensed plaque is made in the USA and is ready to hang. Copyright Hall-O-Fame Group. All Rights Reserved.